More than 40% of patients with metastatic or unresectable urothelial carcinoma responded to treatment with the investigational fibroblast growth factor receptor (FGFR) inhibitor erdafitinib, according to findings from a phase II study presented at the 2018 ASCO Annual Meeting. Overall, 40 out of 99 patients responded to treatment with erdafitinib. An additional 39 patients had stable disease. Responses occurred in patients who had no prior exposure to chemotherapy, as well as those who had progressed or relapsed after previous treatment. Response rates were similar in patients with or without visceral metastases. 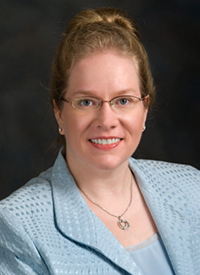 Adverse events (AEs) were generally low grade, and few patients discontinued treatment because of AEs, Arlene O. Siefker-Radtke, MD, associate professor of genitourinary medical oncology at the University of Texas MD Anderson Cancer Center. Patients with advanced urothelial cancer have historically poor outcomes, and those who progress after first line therapy have few effective options. Anti-PD-1 agents have improved objective response rate (ORR) and overall survival (OS) in second-line, but many patients do not benefit from the agents, Dr. Siefker-Radtke noted. FGFR alterations occur frequently in cancer, including 15% to 20% of metastatic urothelial carcinomas and 40% to 70% of non-muscle invasive bladder cancers. Erdafitinib, a pan-EGFR inhibitor, demonstrated promising activity in patients with metastatic or unresectable urothelial carcinoma and other histologies with FGFR alterations. Dr. Siefker-Radtke reported findings from a phase II trial involving patients with advanced or metastatic urothelial carcinoma treated with the recommended phase II dose of erdafitinib of 8 mg daily with uptitration to 9 mg daily. The patients had disease that progressed on 1 or more prior lines of therapy or within 12 months of neoadjuvant therapy or who were ineligible for first line platinum-based chemotherapy. Patients with prior exposure to immunotherapy were included. Twelve patients received erdafitinib as initial therapy. The remaining 88 patients consisted of 45 who had received 1 prior regiment, 29 who had received 2, and 14 who had received 3 or more prior regimens. Prior treatment experience included immunotherapy in 22 patients. A fourth of the patients had FGFR2 or FGFR3 fusions, and three fourths had FGFR3 mutations. Tumor location was upper tract in 23 cases and lower tract in 76. Almost 80% of patients had visceral metastases. A majority of patients had creatinine cleareance <60 mL/min. Erdafitinib led to complete responses in 3 patients and partial responses in 37, resulting in an ORR of 40.4%. Patients with no prior therapy had a ORR of 41.7% versus 40.2% for previously treated patients, 38.5% for patients with visceral metastases, and 47.6% for those without visceral metastases. Dr. Siefker-Radtke reported that 75 out of 99 evaluable patients had some degree of reduction in tumor target lesion diameter. The median time to response was 1.4 months, and the median duration of response was 5.6 months. The cohort had a median progression-free survival of 5.5 months and median OS of 13.8 months. An exploratory analysis of immunotherapy-treated patients showed that only 1 of 22 patients achieved an ORR with the treatment. The same 22 patients had an ORR of 59% with erdafitinib. The most common treatment-related adverse events (TRAEs, all grades) were hyperphosphatemia (73%), stomatitis (55%), dry mouth (43%), diarrhea (37%), dysgeusia (35%), dry skin (32%), alopecia (27%), decreased appetite (25%), hand-foot syndrome (22%), and fatigue (21%). No type of grade ≥3 TRAEs occurred in as many as 10% of patients, with stomatitis being most common (9%). Ongoing investigations of erdafitinib in patients with urothelial carcinoma include the phase III THOR trial comparing the FRGR inhibitor with chemotherapy or pembrolizumab (Keytruda) and the phase Ib/II NORSE trial of combination therapy with the PD-1 inhibitor pembrolizumab (NCT03390504, NCT03473743). Siefker-Radtke AO, Necchi A, Park SH, et al. First results from the primary analysis population of the phase II study of erdafitnib (JNJ-42756493) in patients with metastatic or surgically unresectable urothelial carcinoma and FGFR alterations. Presented at: 2018 ASCO Annual Meeting; June 1-5, 2018; Chicago, IL. Abstract 4503.